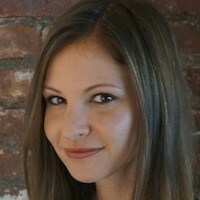 Angela Rastegar Campbell is the founder of Agora Fund. Her experience includes advising foundations, nonprofits, multilaterals, socially-minded investors and multinational corporations, with international work experience in Africa, South East Asia and Europe. Prior to Agora, Angela worked as a project leader at Dalberg Global Development Advisors, where she led the design and process evaluation of the Pneumococcal AMC and wrote several articles on innovative funding models. Angela also worked as part of the Financial Planning and Analysis team at PepsiCo and as a management consultant with the Monitor Group. Angela holds a bachelor’s degree in human biology from Stanford University, focusing on international health, and a master’s in business administration from Stanford Business School. Vaccines are effective and relatively inexpensive health interventions but, for a variety of reasons, many potential vaccines are never developed, distributed or tailored to work effectively in the Global South. Recent risk reduction measures, however, show promise toward reducing vaccine prices and increasing access while engaging manufacturers and stimulating innovation in the market.